Monitor charge of your stored power sport vehicle lithium starter battery or confirm if the vehicle charging system is working correctly. 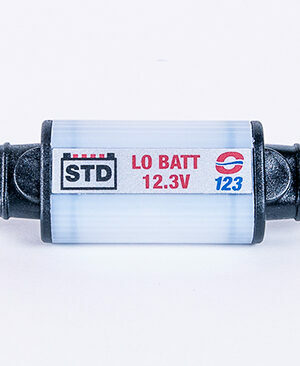 3 LEDs display (O/1/2/√) battery status for lithium battery. 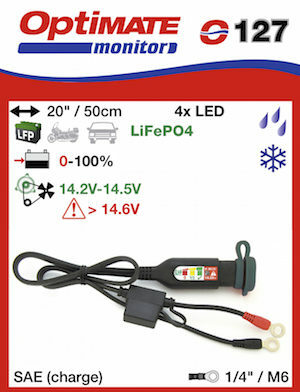 Draws less than 200uA (0.0002A) when battery monitoring. 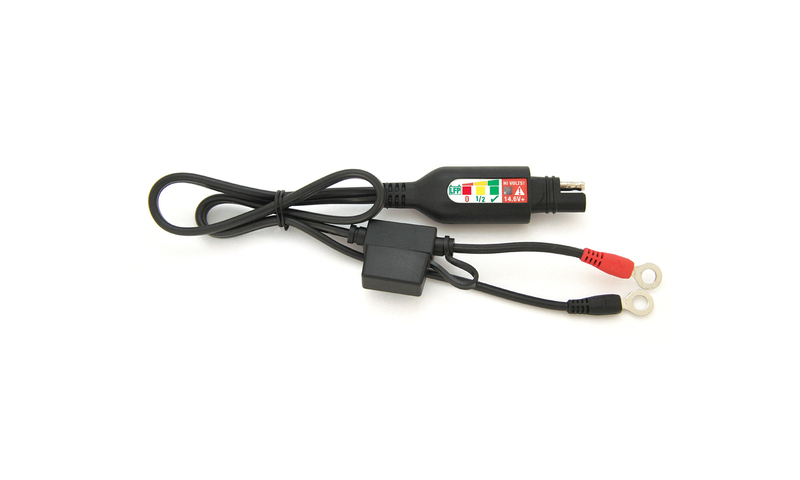 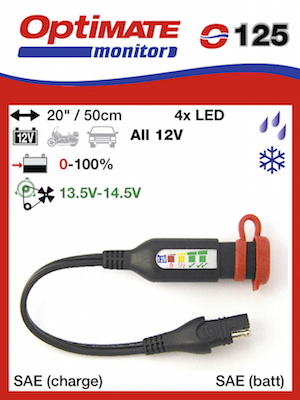 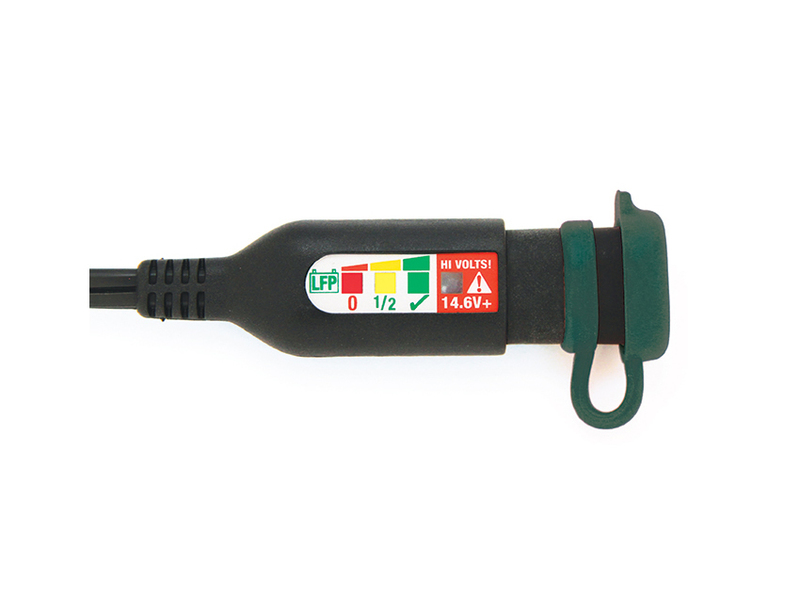 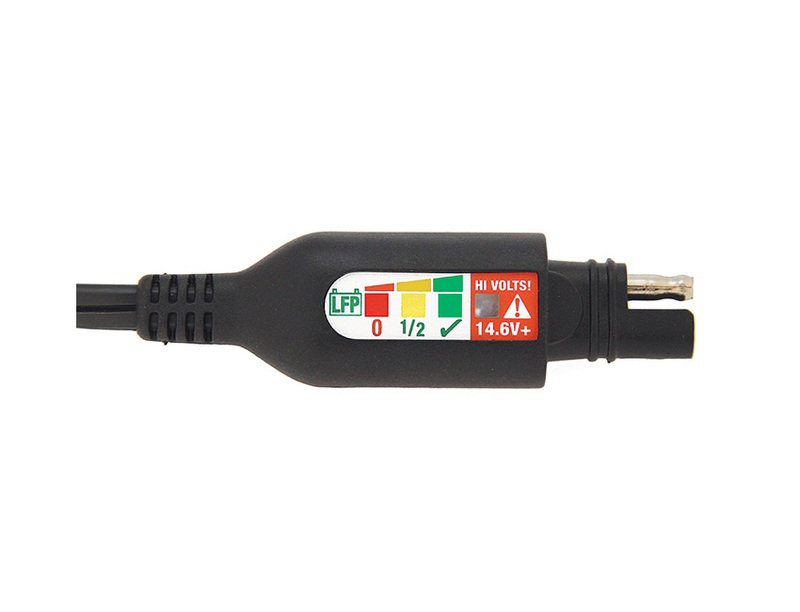 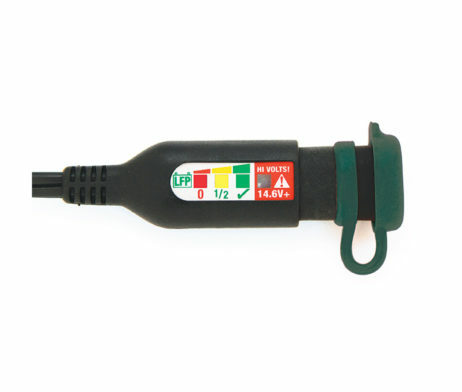 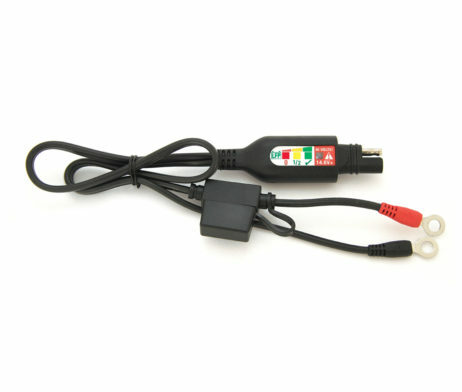 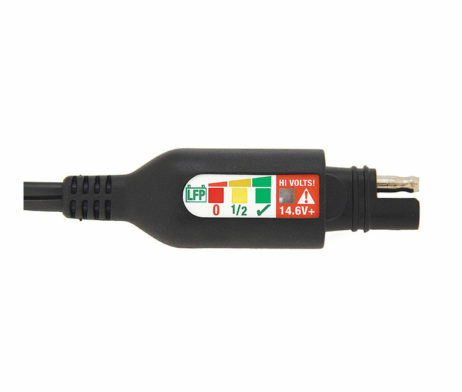 Active charging system monitoring: 14V ‘good’ and 14.6V ‘OVERCHARGE’ levels. 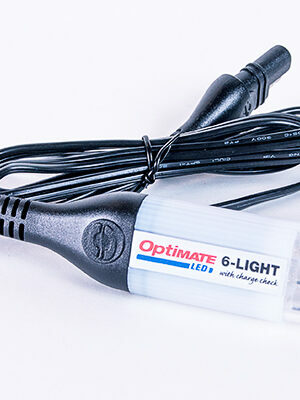 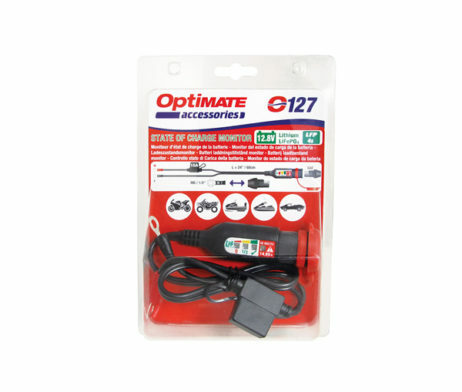 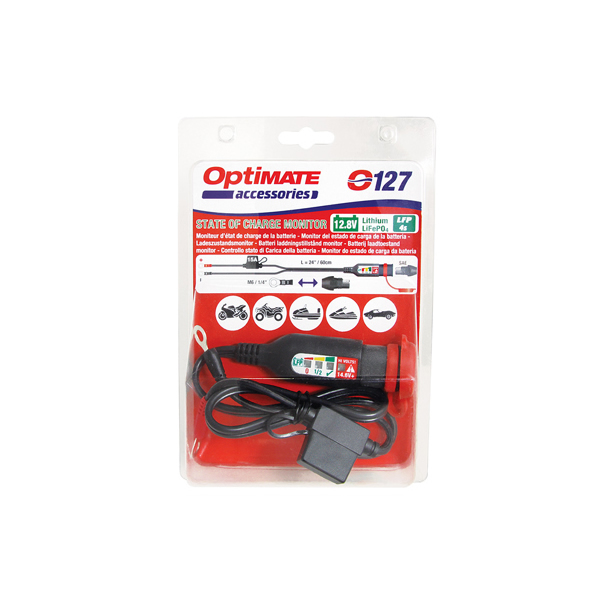 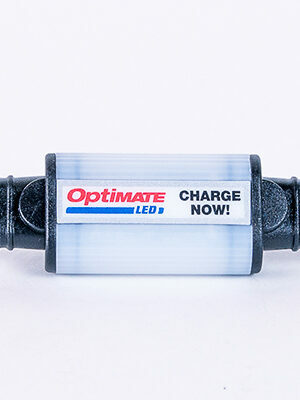 SKU: O127 Category: Battery Monitors Brands: Optimate.